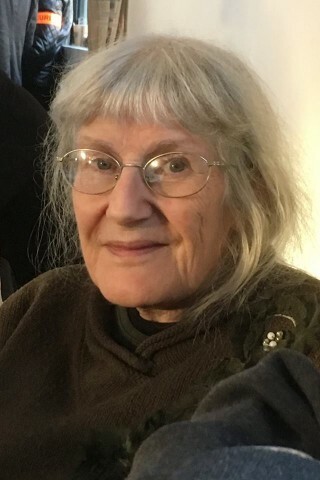 French researcher Geneviève Béduneau died on April 5 for a heart attack in the Paris subway, a few days after she turned 71. Doctor in orthodox theology, teacher of the history of religions, an expert on esotericism and secret societies, history and altered states of consciousness, she joined ufology in the early 1980s, participating in the activities of the CIGU (Comité Île-de-France des Groupements Ufologiques), writing on Annuaire du CIGU, Lumières dans la nuit and Ovni-Présence magazines, attending meetings and UFO congresses under the pseudonym of Anne Véve. 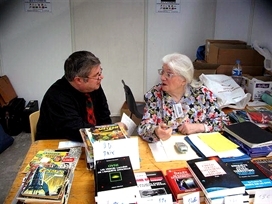 In the following years she came out into the open with her real name, publishing articles in magazines such as La Gazette fortéenne and UFOmania and participating in conferences and mailing lists, with interventions combining her great erudition with an unconventional approach to the subject. 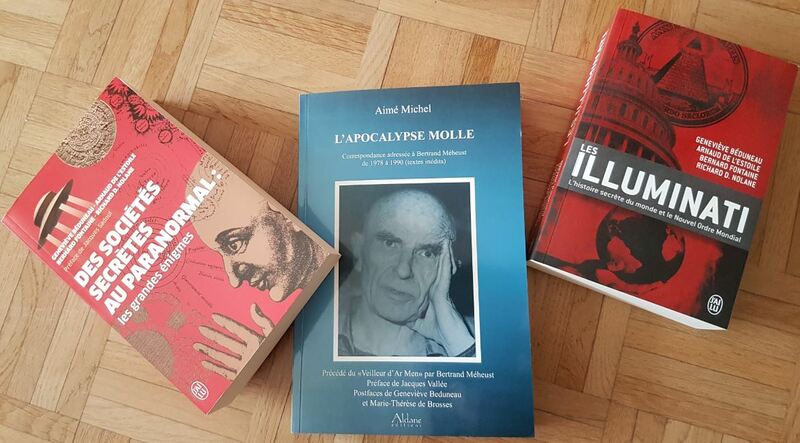 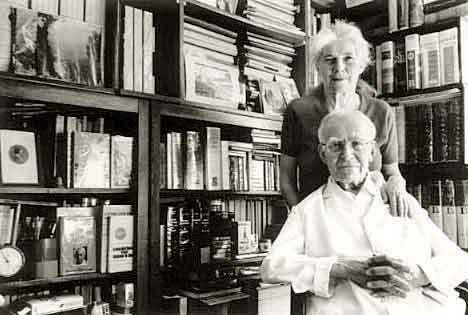 Author or co-author of several books, she had also signed the post-face to the collected letters by Aimé Michel “L’apocalypse molle” (2008), was editor of the magazine Historia occultae and kept the blog Réflexions sur les temps qui courent peut-être . 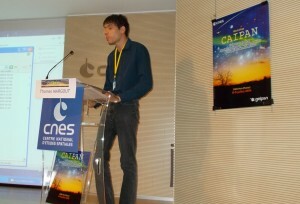 Two French ufologists died within few days in February. On February 16, Jacques Costagliola died in the Paris region. Born in Algeria in 1927, a doctor and biologist, he had long been animator of the so-called “Groupe de Science Ouvert” (Open Science Group) in Versailles, France. 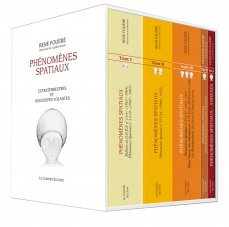 Expecially interested in the potential health risks of what he called “toxic close encounters”, he was best known for his 1988 book “Epistémologie du phénomène ovnien” (Epistemology of UFO Phenomenon). 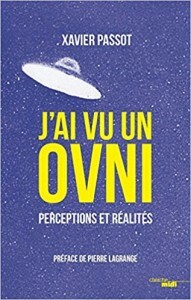 Together with former Admiral Gilles Pinon, in 2008 he was among the promoters and signers of an open letter to the President of the French Republic, Nicolas Sarkozy, asking him to apply the precautionary principle to UFO phenomena and thus to order “an exhaustive study of the UFO phenomenon in application of a hypothetical-deductive method, bringing together competences in the political, military, scientific, sociological, philosophical fields, having as its object to confirm or deny the extraterrestrial interpretation”. 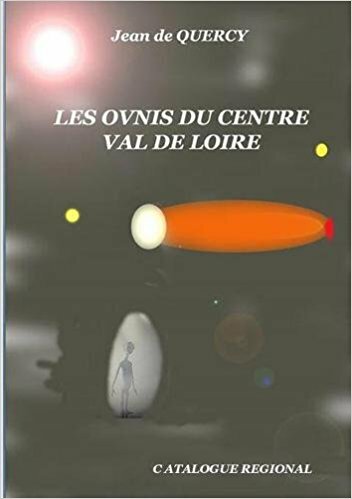 On February 21st, at the age of 50 years, John Tomlinson died in Nice, France, after a long illness. Born in the USA, he had grown up and lived in France. 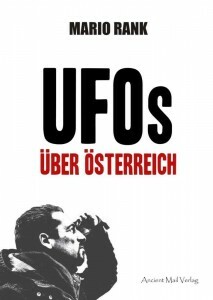 In 2008 he was appointed MUFON representative in that country and soon began an active role in establishing contacts for a better international UFO coordination. 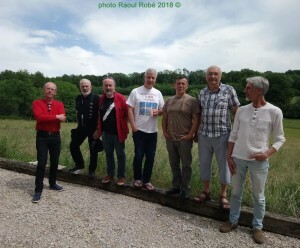 At the same time Tomlinson he worked on setting up a French branch of the Mutual UFO Network, finding a hand in veteran French ufologist Gerard Lebat, at that time coordinator of “Repas ufologiques” (UFO dinners) network. 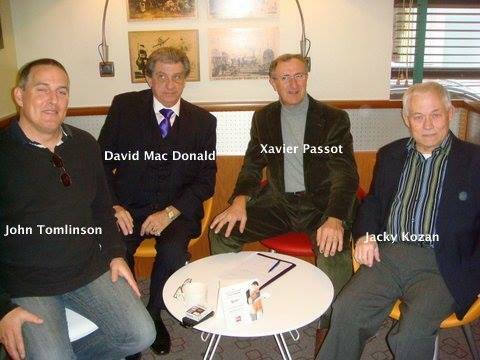 Thus MUFON-France was born and after Dave MacDonald was elected as MUFON International Director, John organized MacDonald’s trip to Paris in January 2013, for a conference and meeting with several MUFON representatives in Europe, as well as the signing of a cooperation protocol between the Mutual UFO Network and the GEIPAN (the UFO study group within the French space agency). The ambition to create a MUFON-France that overcame the long-standing rivalries and envies among the various ufologists and associations of that country unfortunately collapsed in a short time, despite both Tomlinson and Lebat stepping backwards and leaving group management to others. 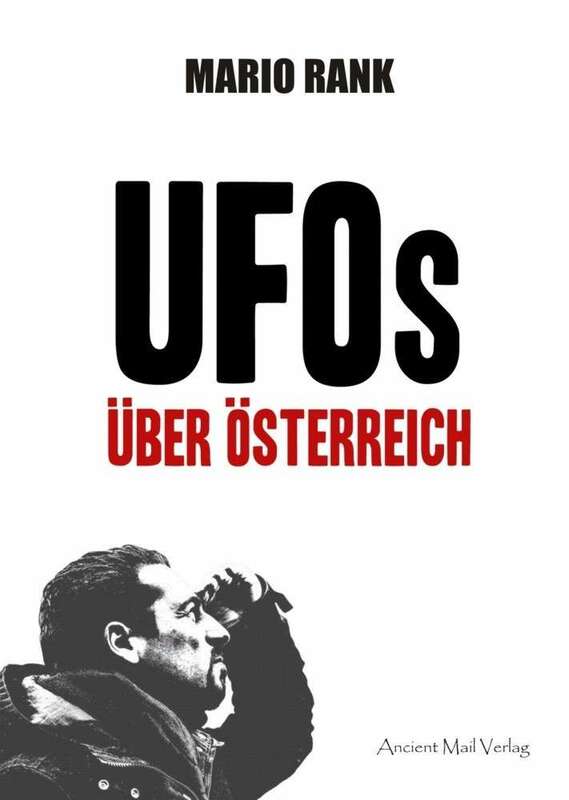 Disappointed by the UFO people, John left active ufology shortly before discovering the disease that killed him in a few years. 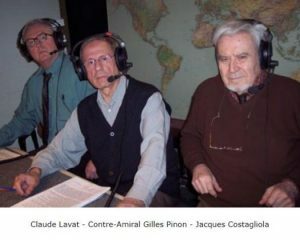 [In the above photo: Jacques Costagliola (right) with Claude Lavat and Gilles Pinon. 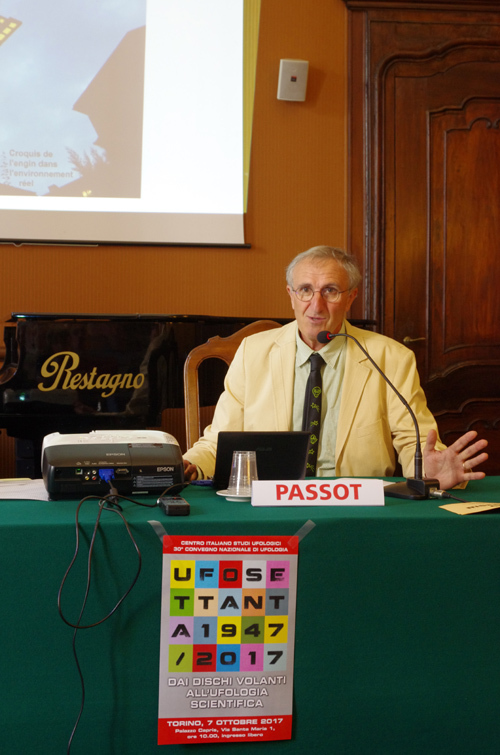 European UFO historiography is enriched with an important piece. 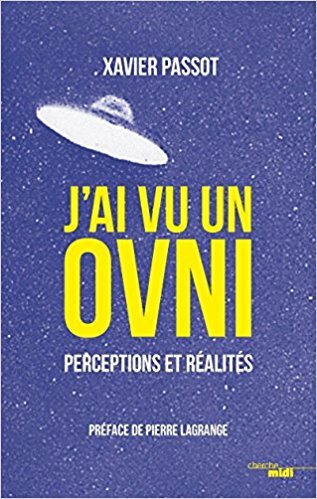 After the first volume (of 513 pages) published in June, the second volume (209 pages) was published in October 2017 of the book “Ovnis sur la France, des années 1940 à nos jours” (Ufo on France, from the 40s to today”), which is a revised and abridged version of a dissertation in contemporary history. 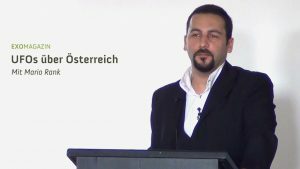 The author is Manuel Wiroth, which graduated in October 2016 at the University of Lyon, France, with a thesis titled “History of ufology in France (from the first individual research on the discs flying to the constitution of UFO study networks, from the 40s to the present”), before a commission that included among others scientist-ufologist Jean-Pierre Rospars. For years a UFO buff Wiroth was able to base upon the impressive documentary collection of the French archive UFO group SCEAU ( Sauvegarde et Conservation des Etudes et Archives Ufologiques), directed by Gilles Durand. 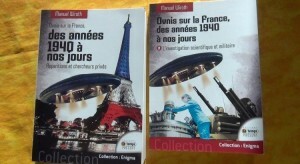 The big dimensions of the dissertation forced JMG publishing house to divide it into two volumes, the first dedicated to “Testimonies and private researchers”, the second to “The scientific and military investigation”.